Great place ... Very nice place, clean, well located and very friendly staff. Great choice! Hi. Im French and my name's Emmanuelle and i'd like to tell you my story. I was once a tourist like you. I fell in love with this country, Egypt, especially the magic of Luxor. My dream was to live here so I decided to make it happen. 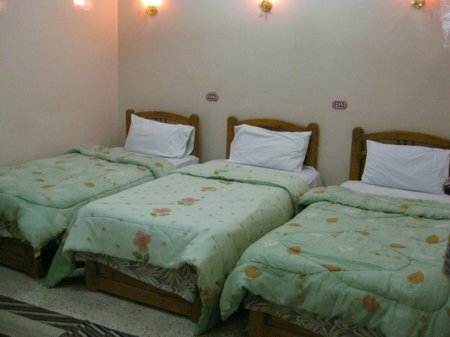 I found a little hotel and I bought it and now I'm living happily here in Luxor. 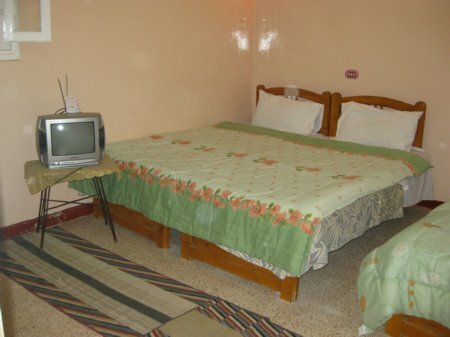 The hotel is simple, inexpensive and clean: important things to a traveller on a limited budget. When the backpackers arrive they have the choice of a room with bath or a shared bathroom and an air conditioner if they like. The first thing they do is to take a relaxing hot shower and a rest and enjoy the comfort and cleanliness we offer. They eventually make their way to the reception, meet the friendly local staff and other guests, enjoy tea in our restaurant and watch some satellite TV if they wish. This gives them the opportunity to ask questions and glean the valuable information that will make their stay stress free. What to do and see in Luxor and how to get around? The staff know it all. If they need things like towels etc. they only need to ask. We provide a laundry service but they can also wash their own clothes. If they love cooking they can also use the kitchen. All is possible at the Princess Hotel. In the evening we open our roof garden and coffee shop. Everyone likes to come here to drink fresh juice, beer, hot or cold drinks and to smoke shisha and enjoy some company. Sun worshipers can chill out on the roof during the day. My wish is that everyone should feel at home. 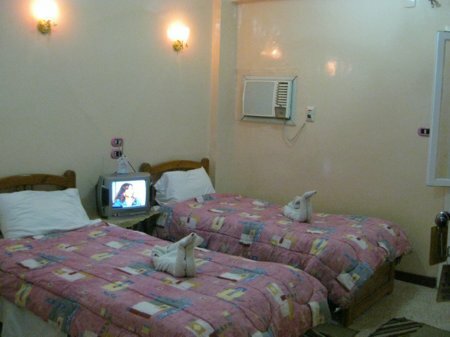 popular area, near restaurants, shopping area (popular and tourist shopping), 10 min from the nil and the Luxor's temple. from the train station 5 minutes by feet. Take the manchia street on your left, follow it. When you arrive on the saladin square take ahmed orabi street on your left. Princess Hotel is on the first street on the right. Just follow the sign. free pick up from the bus station, train station, and the airport. Just ask us.